The massive popularity of the latest must-have beauty gadget, the GloPro, has helped add to the growing interest in the beauty treatment known as micro-needling, sometimes also called derma-rolling or medical needling. This treatment involves rolling a small device over your skin that looks like a mini paint roller with hundreds of tiny needles. When the needles penetrate the surface, the body’s natural injury response is triggered, causing an increase in the production of collagen and elastin. When this happens, it helps to minimize the look of wrinkles, scars, and stretch marks. If you are interested in trying out micro needling, you can quickly get a device on Amazon or eBay for a fraction of what it costs for a GloPro or professional treatment. Before trying out these inexpensive at home micro-needling devices, there are some things you should be aware of. An important thing to be aware of before trying out micro needling at home is that it isn’t the best treatment for everyone. If you have darker skin or very sensitive skin, I would strongly advise you to either consult with a dermatologist or test at-home rollers on a small patch of skin for a few weeks before doing a full treatment. For those who have a darker skin tone, there is some chance of hyperpigmentation occurring, especially if there is any sun exposure right after doing a treatment. If you have very sensitive skin, you should also be very careful with these types of devices. If you press too hard when using, you could end up with dry, chapped, skin that has a burning feel to it. If you are looking for at-home micro needling products that have been approved by the FDA, you may have a hard time finding a device. The FDA’s issue with some of these types of devices is that since the needling products break the skin, they should be considered medical devices. A medical device is required to have much more rigorous testing done on them than beauty products before they are safe for the public to use. The FDA is also concerned that some types of pen micro needling products may damage vessels and nerves. At the moment, cosmetic needling instruments need to have a needle length of 0.3mm or less and cannot make any medical claims about the device to be sold legally as a beauty product. It doesn’t mean that you can’t get devices with longer needles, but legally they are not supposed to be sold according to the FDA. The FDA has taken action against some of the micro needling pen manufacturers for selling unapproved medical devices. The whole at-home market is a little wild right now, with the explosion in popularity and the lack of regulations, you need to be somewhat careful with any products you are considering buying. It is possible to experience some side effects when using derma roller or micro-needling devices. The most common type of side effect will be (in most cases) a simple reaction to the derma roller itself. Experiencing slight redness or minor skin irritation is normal. It may be your body’s natural reaction to the microneedles; any redness or irritation should subside within a few days. The most severe side effect that you might experience is that your skin gets infected. Getting a skin infection from derma rolling isn’t very common and usually only happens if the device hasn’t been cleaned properly. Some dermatologists also worry that if at home devices aren’t used correctly there is some chance of causing scarring to the skin. You should also be careful with the types of products that you use immediately after performing a treatment. You may have a higher chance of having an allergic reaction to a particular topical product since it will be able to penetrate deeper into the skin. If you develop a rash that has raised bumps, you should discontinue the treatment immediately and consult with a dermatologist. There are a variety of different types of roller and pen style micro-needling devices available from the very inexpensive titanium devices to the higher end pens and the GloPro. Whatever your budget, there are some great options available. 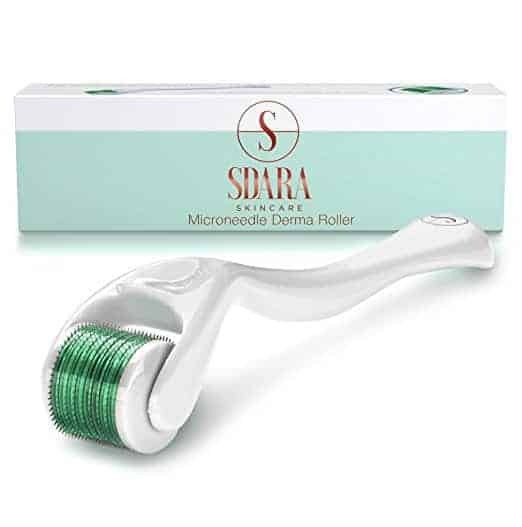 There are a number of inexpensive derma rollers that are available on places like Amazon or eBay that cost in the $10 price range. If you aren’t sure if this the proper treatment for you, the Derma Roller Cosmetic Needling Instrument For Face, 540 may be an excellent place to start. It is one of the most popular of the budget-friendly options. It has titanium needs that are 0.25 mm. The Derma Roller Kit for Face is a high quality, yet still, budget-friendly option if you are looking for a manual roller. 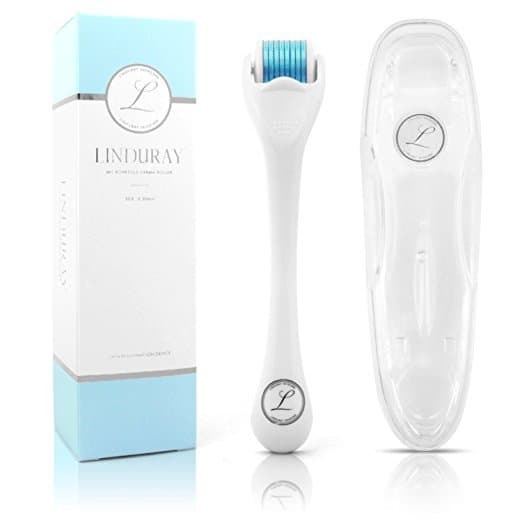 This roller has 540, .3mm stainless steel needles that can do a great job treating fine lines and helping to improve product absorption and efficacy. This manufacturer of this micro roller recommends that it be replaced every month since the needles become dull and can damage your skin. This derma roller from RegenaGlow is a great option that comes with a free storage case, a disinfectant cup, a travel bottle, a bag, and even an e-book. Since you need to keep your roller clean and follow the simple directions, this is a great starter package that includes everything you will need to have success with this type of process. 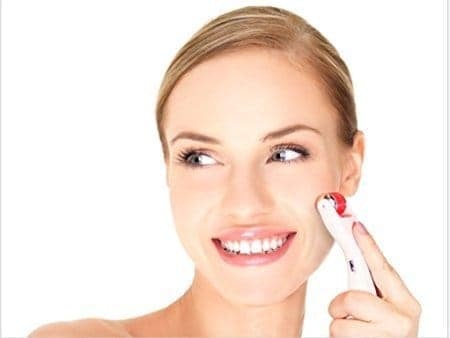 It is incredibly important that once you start to use an at-home derma roller that you clean it every time it is used. If it isn’t cleaned properly it is easy to spread infections on your skin. It is generally recommended that you clean the roller heads of the different types of devices with rubbing alcohol. You can soak it in the alcohol or use a spray bottle filled with alcohol. After a few minutes, you can rinse off the rubbing alcohol with hot water. You then let it dry and return it to the storage container. For any product that you purchase, make sure you check the cleaning instructions and follow what is recommended. At-home devices are not going to get you the same type of results as professional treatment as quickly, but not everyone has $500 to spend on professional procedures. At-home micro-needling devices have shorter needles than professional tools, so they can’t penetrate as deeply, but you can do the at-home treatment more often. The more frequent use may be one reason that individuals are getting such good results at home. Professional treatments focus a lot on what is infused into the skin during the treatment. It is generally regarded as important as the needling itself. Products that are often used in combination with micro needling are serums that contain the ingredients vitamin C or hyaluronic acid. If you are doing the treatment to lessen the appearance of wrinkles, you will probably want to start with a needle that is 0.25mm. When your skin is used to the 0.25mm length, you can move up to 0.5mm. Never go over 1.0 for the face. Needles 1.0 and above are intended for other parts of the body for things like scars and stretch marks. The two major types of needles that you can get are titanium and stainless steel. Titanium needles are stronger and thicker, which can mean they will make larger holes in your face. Stainless steel needles are sharper, so the needle can go deeper into the skin. Titanium will last longer, but stainless steel is considered more hygienic and easier to clean, making them less likely to cause an infection. For fine lines on your face, I would recommend looking for rollers made with stainless steel. How long do these types of derma rollers last? Some roller heads need to be replaced every month. You may be able to get a couple of month use out of them, but the more they are used the duller and less effective the needles will become. You also need to be extremely careful about keeping them clean (clean with rubbing alcohol after every use) and taking care of them properly. On a clean, dry face, run the roller up and down, first in a straight line and then diagonally. After doing the rolling, you should follow up with a serum that contains vitamin C or hyaluronic acid for the best results. It is best to avoid applying makeup for at least 12 hours after treatment. How often should derma rollers be used? 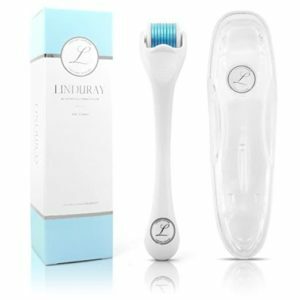 Generally, to treat fine lines and wrinkles on the face, you can use the device 2-3 times a week, usually at night, with the minimum being once a week if you are looking for good results. Be careful of over use; more is not always better. If you are using the roller more than the recommended amount, you could experience irritation or damage your skin. What products should you use with these types of rollers? Almost any type of face wash or cleaner you use to clean your face should be okay. Most products that you use to moisturize your face should be fine to use afterward, although you may want to do a test on a small area before applying to your whole face to make sure it doesn’t react. To get the best results serums that have Vitamin C, hyaluronic acid, or retinol are recommended. How does it feel when you are using it? The idea of rolling hundreds of tiny pins on your skin can be a bit scary, although most individual don’t have to worry about micro rollers being painful. People often describe the feeling of at home treatment as feeling like a light prickling sensation, similar to being lightly scratched. Some describe it as feeling like you are being licked by a cat. How it feels also depends on how much pressure you are putting on the device as you roll it over your skin. You shouldn’t be putting too much pressure on the roller, especially if you are new to the treatment. If you have very sensitive skin there is some chance that you may find this type of treatment painful and it probably isn’t the best option for you. For the best possible results, it is essential that you follow some basic safety advice when using at home micro-needling devices. Keep micro rollers out of reach of children. Micro-needling, or derma-rolling, can make a big difference to the overall look of your skin. If done properly, you may begin to see your fine lines disappear and your skin become more firm. It can take a little bit of time to adjust to micro needling and you can expect to see some redness and irritation after a treatment. Your skin may also become dry and possibly feel like it has been sunburned. This treatment isn’t for everyone, be very careful if you have darker or very sensitive skin. 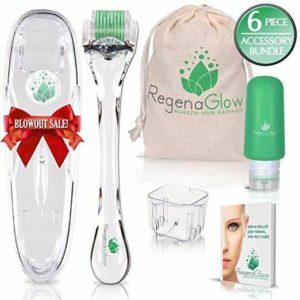 The huge popularity of micro needling and the great results people are getting are probably worth the minor side effects that you might encounter from this latest beauty craze.